Answering phones, stapling papers, hanging out at the water cooler and posing half-naked with a far-off look in your eyes… just another day at the office. An excerpt from the evening-length Fashion Briefs, Code f.a.d. Company’s Calvin Klein: Casual Friday begins an evening of dance and film work by mixing fashion models’ body language into the mundane workplace atmosphere. G. Todd Buker (aka Proxy), Fashion Briefs is a collection of 12 short dances (performed both live and in dance film segments) each inspired by the life or work of a famous fashion designer or brand. Overall, Fashion Briefs is like a collection of short stories all written by the same author but on different days. There are new characters, situations, and thematic ideas from section to section, though there is a similar movement signature and point of view to carry the audience across the entire evening. Lee Alexander McQueen is a somber look into the cold and dramatic life of runway fashion – a tribute, as well, to the troubled life of Lee McQueen and his tragic ending. This section is in contrast to the humorous The Louis Vuitton Tradition, which pokes fun of the absurdity surrounding some birthday traditions. The work also contains The Gucci Family and Its Legacy whose energetic and forceful movements push the anxiety levels of both dancer and observer until the final gunshot (literally). Fashion Briefs tackles a wealth of emotions but doesn’t forget to be playful along the way. Burberry Dreams is an innocent look into one woman’s lazy, rainy day, and Destination by Michael Kors is the epitome of fabulous resort-wear (with four women lounging and dancing along their beach towels). The Birmingham-based professional modern dance company Sanspointe was founded by Michelle Hamff in 2003 to provide choreographers and dancers with an opportunity to create new work, collaborate artistically and present high-quality modern dance performances for the community. Sanspointe presents original and inventive choreography for audiences in its hometown of Birmingham, Alabama, and performs at events during the year around the southeast. 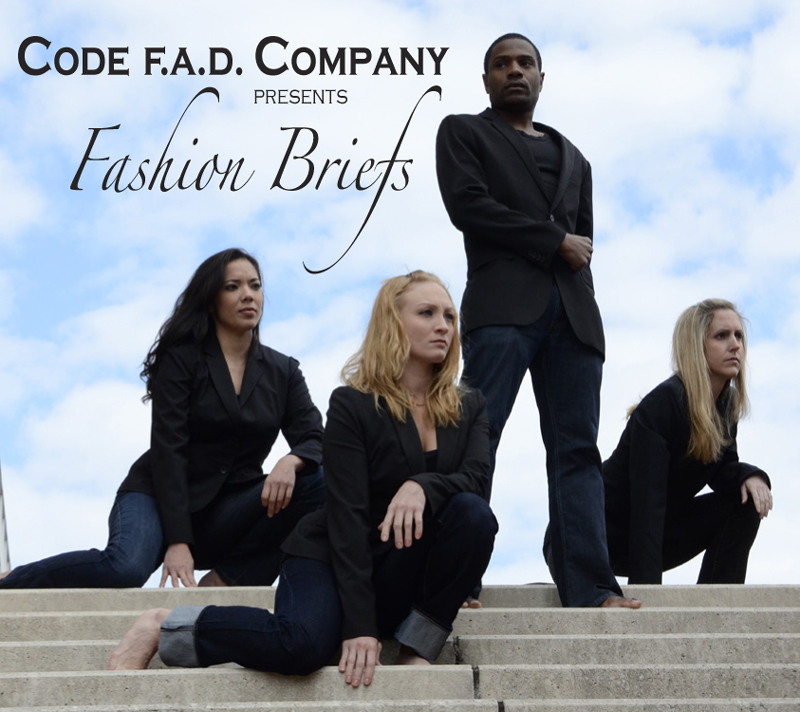 Sections of Fashion Briefs were performed also in Birmingham, Alabama, and received great audience responses! Read the critic’s review here.